Milk is big business. Behind the seemingly innocent drink is a multi-billion-dollar industrial network. Profit is made at the expense of the environment, animals, people and our health. The "Das System Milch" is a cinematic journey across several continents that clears up prejudices and points out solutions. The picture of happy cows shines on almost every milk package, but reality has long since changed. Dairy cattle farming has become a multi-billion dollar industry, which ensures that milk consumption worldwide is constantly increasing. The documentary film "Das System Milch" takes a look behind the scenes of the dairy industry, highlights the consequences for people, animals and the environment and shows what responsibility politics and consumers bear in a globalized world. The renowned South Tyrolean documentary film director Andreas Pichler has already received many awards for his work, including the Grimme Prize for "Call Me Babylon" in 2004 and a Grimme Prize nomination for "The Path of the Warrior". In 2015, he received the Franco-German Journalist Award for "Europe for Sale". 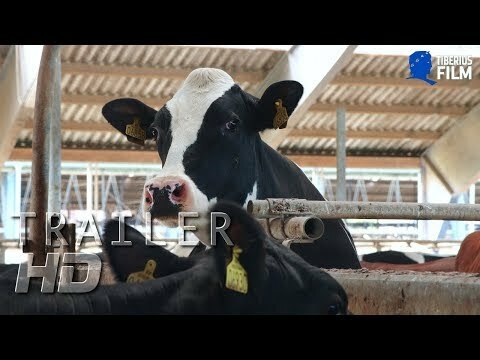 A well made film about the dairy industry, which changes the view of one's own milk consumption. Environmental impacts are mentioned, albeit marginally.